Even by the standards of OnePlus's previous product refresh timelines, the OnePlus 6 (Review) has had a very short life. Just five months after its launch, it's already out of stock and effectively dead, making way for the predictably named OnePlus 6T. 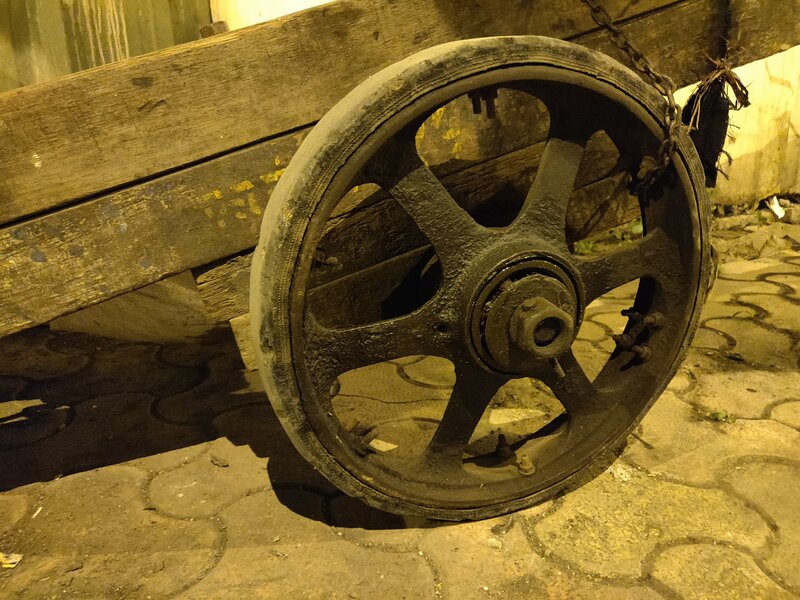 The company has told us in the past that it isn't interested in sitting around and waiting for a predetermined amount of time if it has new technology to ship, and we take that to mean that it doesn't ever want competitors' products to seem newer and fresher. It's an approach that has worked well so far, and no one's expecting buyers to upgrade with every single release. In the past, successive models have usually meant moving to a better processor, delivering improved cameras, or adopting new industry trends or standards. This time, it's all about a new fingerprint sensor and a smaller notch – oh, and the company's first ever partnership with a US carrier, which is probably the biggest reason to whip up a new model this soon. The OnePlus 6T — with a new fingerprint reader and a smaller notch — is perhaps the company's most minor refresh ever in terms of hardware, but it could be the most significant in terms of experimentation and strategy, and the evolution of OnePlus as a global player. We're also intrigued by how the company is handling the removal of features, some of which it has championed in the past. Does gaining a powerful new global player mean losing the scrappy startup that always put tech-savvy users first? We've got lots of questions, and we're going to dig up the answers. The OnePlus 6T does feel somewhat fresh in terms of keeping up with trends, but not much has changed over the past five months, so the differences between this phone and its predecessor are subtle. 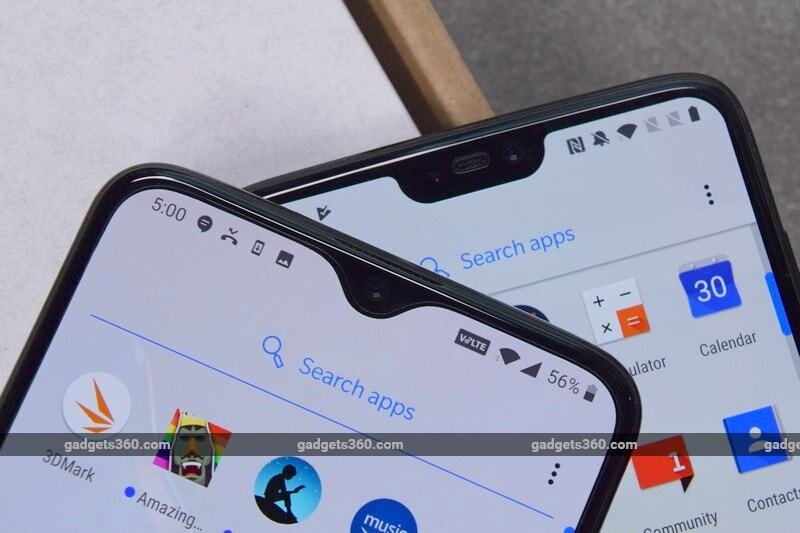 First of all, the chunky notch has been replaced with a slight ‘waterdrop' dip for the front camera. 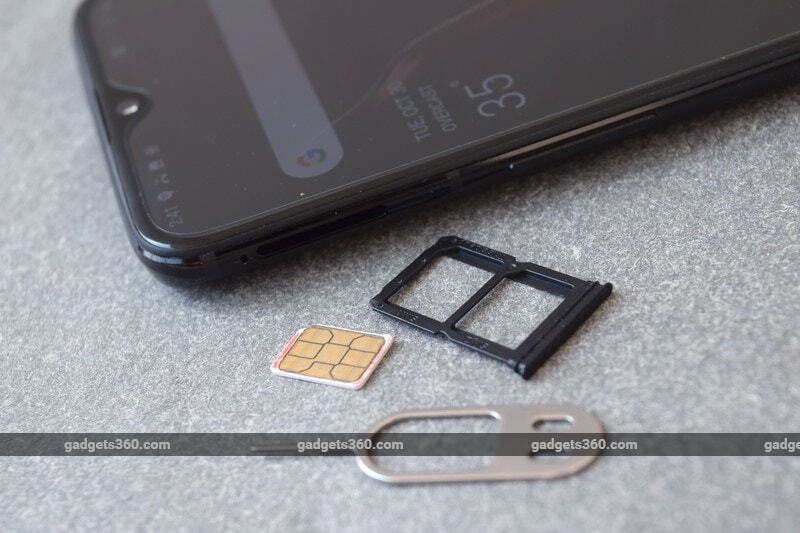 It's exactly like what we've seen on the Oppo F9 Pro (Review), Vivo V11 Pro (Review), and Realme 2 Pro (Review), all from companies that are under the BBK Electronics umbrella, just like OnePlus. The earpiece is designed into the seam where the front glass meets the phone's metal rim, and it's not too small to cause discomfort. The biggest downside of this notch design is the death of the popular multi-colour notification LED that's been a OnePlus staple till now. The loss is somewhat offset by the Ambient Display feature that lets the OLED screen light up to show notification information, but that isn't always on, so you can't tell at a glance if there are alerts for you to check. The screen is slightly larger than that of the OnePlus 6, at 6.41 inches compared to 6.2 inches before. If you place the two phones next to each other, you'll notice that the new model's bottom “chin” has been reduced, making the very slim border around the screen look almost uniform on all four sides. The corners have very wide curves, and unfortunately some UI elements and fullscreen apps look like they've been cut off awkwardly. OnePlus will ship this phone with a pre-applied screen protector because it can't guarantee that aftermarket ones will allow the in-display fingerprint sensor to work. We aren't fans of this, because it isn't shaped to perfectly match the curves of the screen and notch, and it really detracts from the slick look of this phone. We noticed a strange crosshatch pattern on the protective film when looked at from an angle, though this wasn't distracting when looking at the screen head-on. It also picked up scratches and smudges way too easily for our liking. 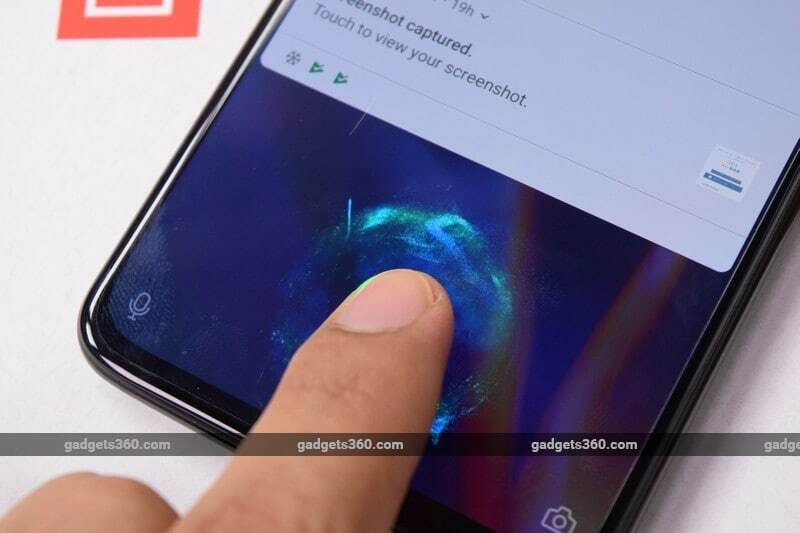 That brings us to biggest new feature of the OnePlus 6T — its in-display fingerprint sensor. 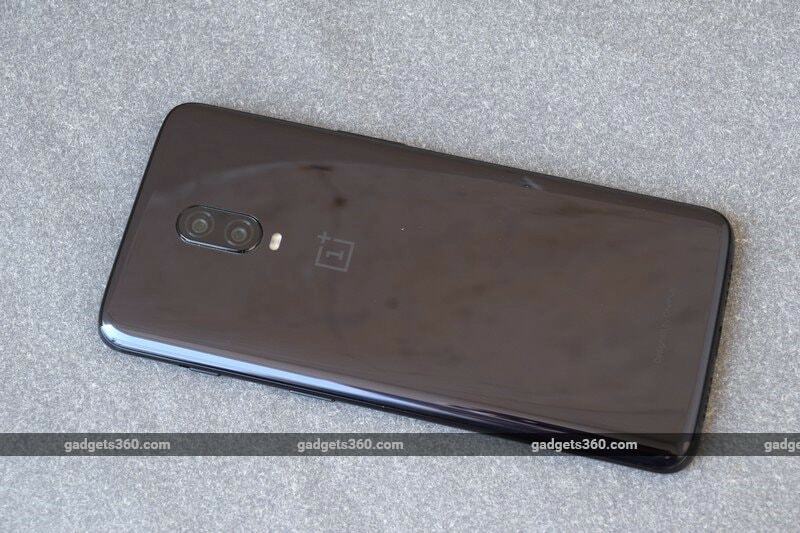 OnePlus says that it has experimented with this technology for over a year, and had even developed prototypes of the OnePlus 5T with it, before ultimately deciding that it wasn't yet good enough to ship then. We'll have a lot more detail about how well this works later on in the review. The base variant will be available only in Mirror Black and the top-end one will only be available in Midnight Black at the time of launch. You'll have both options if you choose the middle variant. Silk White appears to have been dropped from the launch lineup. The textures are unchanged, so the Midnight Black finish still has a soft feel and iridescent S-shaped pattern when held under the light. Given the company's history, we fully expect additional colours or special editions to be released over the lifetime of this device. In addition to the loss of the notification LED, there's no 3.5mm audio jack. This will be the most controversial feature (or lack thereof), given OnePlus's vocal defence of the analogue standard and ribbing of its competitors in the recent past. According to the company, it was necessary in order to accommodate a larger battery and hardware for the in-display fingerprint sensor. There's a grille in its place for symmetry, but it isn't an actual speaker. This feels like a missed opportunity, considering that most premium phones today can deliver decent stereo sound. Other than those things, the OnePlus 6T looks identical to the OnePlus 6. The pill-shaped bump for the dual rear cameras is exactly the same, down to the slightly rough edges that we criticised last time. The power and volume buttons, alert slider, and dual Nano-SIM tray are also unchanged, and there's nothing wrong with them. The OnePlus 6T feels very well built. We had a Mirror Black review unit and it wasn't too slippery. This phone looks great other than the smudges it picks up. 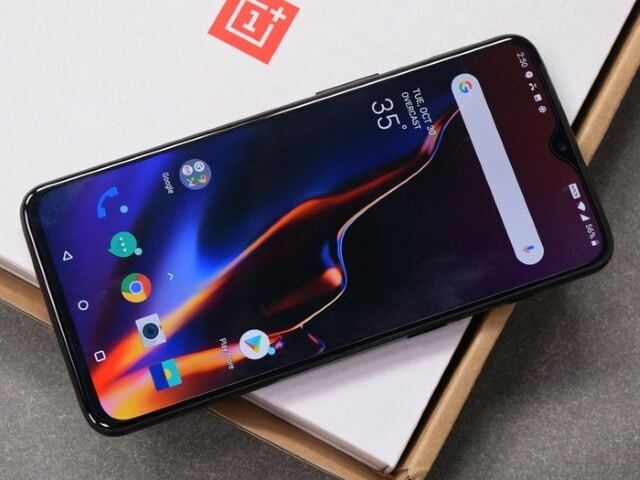 Coming so soon after the launch of the OnePlus 6, it shouldn't be any surprise that there are no major changes to the specifications. We still have the same octa-core Qualcomm Snapdragon 845 processor running at up to 2.8GHz with integrated Adreno 630 graphics. The base variant now has 128GB of storage with 6GB of RAM, the next step up gets you 8GB of RAM with no increase in storage, and the top-end variant has the same 8GB of RAM with 256GB of storage. The increase in screen size is mainly along the vertical axis, taking the resolution up from 1080x2280 to 1080x2340. Less of that area is now impinged upon by the notch, but you can still mask it with black bands on either side if you like. Battery capacity is also up, from 3300mAh to 3700mAh. That's always good, but it comes at the cost of a slight weight increase from 177g to 185g. There are no changes at all to the camera hardware. OnePlus lists the megapixel counts, apertures, sensor sizes and even the specific model numbers of the sensors it purchases from Sony, and they're all the same as those of the OnePlus 6. Also unaffected is the connectivity, with dual-band Wi-Fi 802.11ac, Bluetooth 5 with aptX and aptX HD, NFC, GPS, and GLONASS, and LTE with VoLTE and carrier aggregation (though more 4G bands are now supported). The sensors include a hall sensor, gyroscope, e-compass, accelerometer, proximity sensor, and ambient light sensor. There's Gorilla Glass 6 for physical protection, but OnePlus doesn't claim any dust- or water-resistance rating. There's still no wireless charging as the company believes “it's too slow”, which is slightly disappointing. One very minor niggle is that you get only USB 2.0 transfer speed through the Type-C port. Another long-running OnePlus quirk is its refusal to offer a microSD card slot, though with a minimum of 128GB onboard, this might not be a problem anymore. OnePlus now refers to its Dash Charge feature simply as Fast Charge, thanks to legal disputes over the name. The charger in our review unit's box still had the Dash Charge logo on it and it's just as bulky as it has been for a few generations now. You get a translucent plastic case with your phone, plus the screen protector pre-applied to the phone. The only new thing to see in the OnePlus 6T's box is a USB Type-C to 3.5mm dongle, in the company's signature red. The OnePlus 6T will ship with Android 9.0 Pie underpinning OnePlus's OxygenOS 9 UI. The security patch at the time of reviewing was the November 2018 release. OnePlus is very proud of the many customisations that go into OxygenOS, including the five screen calibration modes, reading mode, gesture shortcuts, UI customisation options, and performance tweaks. 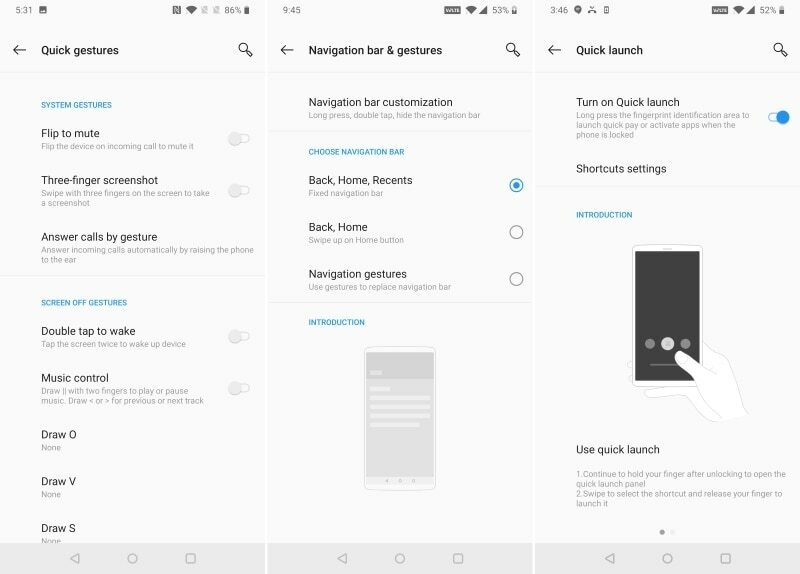 There are systemwide Android navigation gestures if you want to completely free up all screen real estate, or you can have Google's stock Android-style swipeable Home button if you prefer. More tweaks and improvements such as UI animations are promised for future updates. The Ambient Display screen shows a clock, a custom message if you want one, and your notifications. Other features include Parallel Apps to run two instances of some apps, a blue light filter called Night Mode, and your choice of themes and accent colours. There's an App Locker setting that lets you protect any app with a PIN, and a seemingly redundant Hidden Space within the app drawer itself that lets you tuck some app icons out of sight – but only as long as people don't know this feature exists. The improved Game Mode now allows incoming messages to appear unobtrusively so as not to disrupt games. As before, you can prioritise network bandwidth and system resources to make games run better, while suppressing interruptions. There's also a new Smart Boost feature that keeps apps permanently in the phone's RAM so they load quicker than they would from storage. This is currently an early implementation and only works for games. It's on by default and you can turn if off from within the OnePlus Labs section of the Settings app, but there are no other controls and you can't decide which apps to boost, for now at least, so it's hard to tell how effective it is. General performance is pretty much what we'd expect from a flagship-class phone with a Snapdragon 845 processor. Apps and games loaded very quickly and we never had any cause for complaint with day-to-day usage. Our review unit was the middle variant, with 128GB of storage and 8GB of RAM, and we'd be curious to see how the base variant with 6GB of RAM works with the Smart Boost feature enabled. The back of this phone did get fairly warm when charging quickly and when using the camera, but not enough for it to become uncomfortable to hold. We're sure everyone is most curious about the in-display fingerprint sensor. In short, it's not as good as a standard one. It will be amusing for a while and it's great to show off, but in day-to-day use it just gets a little frustrating. You have to wake the OnePlus 6T to activate the sensor; you can't just touch it like you might be used to. Luckily, there are options to trigger the Ambient Display feature with a tap or when you pick the phone up, and you can use the sensor when the screen is active. Then, you have to be conscious of where and how exactly you're placing your finger. With no physical delineation of the sensor's borders, you have to pay attention to the (admittedly very cool) animation on screen and wait till it's done. OnePlus says it waited until the technology was good enough, and the response time is 0.34 seconds. We can't measure that exactly, but we believe it to be a best-case scenario because in our experience, there was almost always a noticeable pause when unlocking this phone. After having gotten used to near-instantaneous unlocking, the extra beat was frustrating. We also had to reposition our fingers quite often. You can enable a shortcut bar that pops up if you continue to hold your finger down after the phone unlocks itself, which is a neat touch. You can have up to six shortcuts, and these don't have to be apps; they can be contacts, message threads, actions, map points, playlists, camera modes, folders, and even sections within apps. This is super convenient, and it's a neat way to combine the capabilities of the fingerprint sensor and the touchscreen. If you're an aesthetic purist you'll appreciate the cleaner back of this phone without a standard fingerprint sensor, but in terms of functionality we don't really consider this an upgrade or improvement. There's still face recognition though, and it works quite well. In fact, it was extremely sensitive and picked up our face from arm's length, often while we were still fiddling with a thumb on the fingerprint sensor, which also means that it will interrupt your flow if you were planning to use the shortcut bar. The screen is very bright and colours, especially reds, appear very saturated. This makes visuals pop a lot, no matter what you're doing. Some people might find everything a bit over-exaggerated and fatiguing while others will love it. We found that videos were enjoyable. A fair bit of content is lost due to the curved corners and notch, but that's true of all such phones. The single mono speaker is pretty loud and clear but the experience is still disappointing compared to other top-end phones. The OnePlus 6T's performance is pretty much on par with that of the OnePlus 6 when tested side by side under identical conditions, thanks to there being very little difference in their hardware. Our AnTuTu score of 294,802 on the OnePlus 6T was slightly lower than the OnePlus 6, which scored 295,646. However, we should note that the OnePlus 6T did get unusually hot when running this test. Geekbench on the OnePlus 6T gave us 2,378 and 8,775 in its single-core and multi-core tests respectively, and PCMark's Work 2.0 test returned a score of 9,021. As for graphics benchmarks, we got a surprising 52fps in GFXBench's Manhattan 3.1 scene and 31fps in the Car Chase scene, as well as 4,716 points in 3DMark's Slingshot Extreme test. We played a bit of PUBG and Asphalt 9: Legends. There's more than enough power on tap here for both of these heavy games. Both ran very smoothly, but once again the phone got a little warm. The Game Mode kicked in automatically for PUBG, but it didn't take much effort to add Asphalt to the list manually. We also spent a fair amount of time streaming HD video which the OnePlus 6T also handled effortlessly. Battery life is pretty strong. With a fair bit of gaming and around two hours of video streaming, plus general use through the day, we were able to go from morning to night without dipping below 15 percent. Our HD video loop test ran for a very respectable 13 hours, 45 minutes. Dash Charge, or as it's now called, Fast Charge, is still a tremendously valuable feature — in just ten minutes, we were able to get from zero to 17 percent, and that went all the way up to 65 percent in 40 minutes. OnePlus says that an OTA update will be available to OnePlus 6T buyers as soon as they set up their phones, and one of the improvements it will deliver is improved power consumption in standby, so your experience might be even better than ours. OnePlus has missed one very current trend, which is the addition of a third (or fourth) rear camera. Instead, we get exactly the same hardware as on the outgoing model. The primary rear camera is a 16-megapixel unit with a Sony IMX519 sensor and f/1.7 aperture. You get optical and electronic image stabilisation with it. 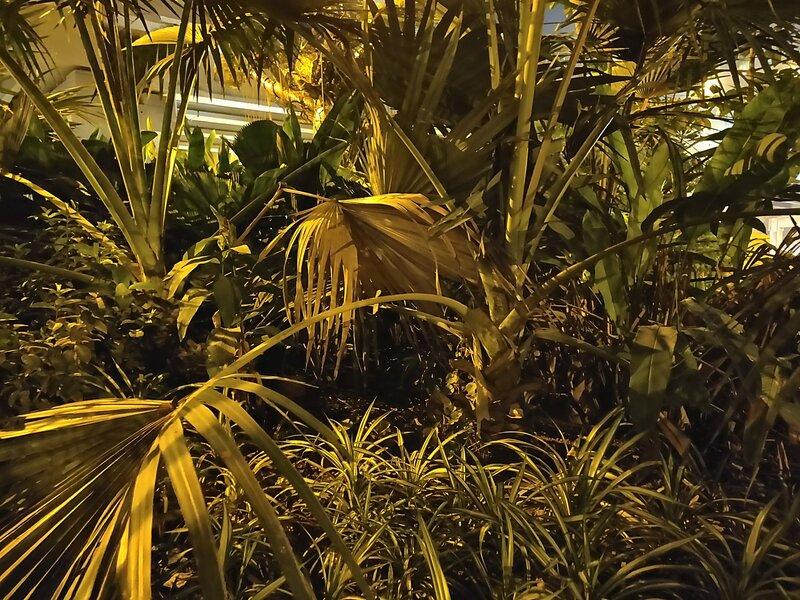 The secondary 20-megapixel Sony IMX376K sensor is used only for depth sensing and to speed up autofocus — you don't get the low-light advantage of the OnePlus 5T (Review) or the zoom lens of the OnePlus 5 (Review) anymore. On the front, there's a single 16-megapixel Sony IMX371 sensor with an f/2.0 aperture and electronic stabilisation. Photo quality in the daytime was very impressive. We were able to discern fine details on distant objects, and there was no trouble with parts of a frame being overexposed. 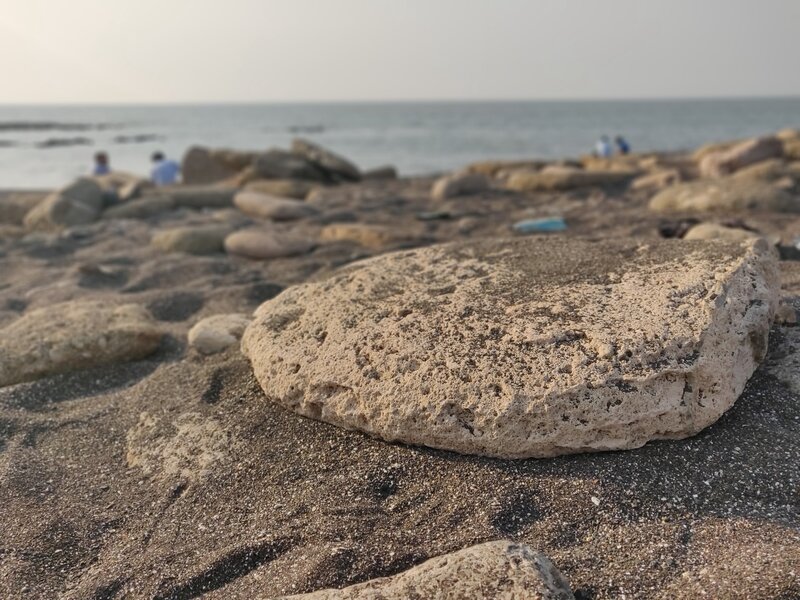 The OnePlus 6T even did a decent job when we were shooting directly into the sun. HDR is set to automatic by default but you can override this. There's barely any shutter lag, and everything works smoothly. Colours were just a tiny bit muted, but the focus was always sharp and on point. Macros looked great, and background blurring was smooth, effectively highlighting our subjects. 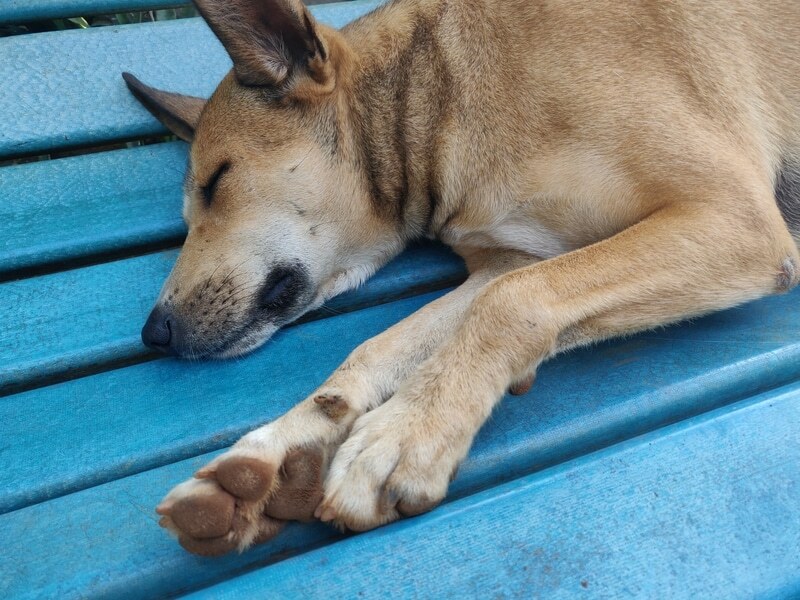 In fact, we often preferred this to the effect created by Portrait Mode, which was sometimes a bit too aggressive and artificial. Speaking of artificiality, edge detection wasn't always accurate and some portraits looed weird on the phone's screen. They were perfectly fine later, in the Gallery app, which makes us think some additional post-processing happens slightly after you take shots. You get a fairly comprehensive Pro mode with a live histogram, bokeh shape filters, time lapse mode, panorama mode, and slow-motion video at up to 240fps at 720p. Video recording goes up to 4K at 30fps or 60fps, though you're limited to ten minutes or five minutes of recording at a stretch respectively. If you're shooting at 60fps, be warned that your footage will come out looking very dark. Videos were fairly smooth, and we didn't see any focus hunting even when tracking moving objects in the dark. Just like with stills, the quality of video is significantly better in the daytime than at night. At several points over the past year, especially when ramping up the publicity around its product launches, OnePlus has pushed the message that its community, made up of very vocal fans and early adopters, is its most important asset. When the OnePlus 5T launched, co-founder Carl Pei credited this community for the company's commitment to retain the 3.5mm audio jack. When we had the chance to speak with OnePlus representatives prior to the OnePlus 6 launch, they made it a point to tell us that the phone's notch was designed to accommodate a notification LED because the community loves this feature and it sets OnePlus apart. Somehow, while still touting its engagement with power users and tech enthusiasts, OnePlus has now found the “courage” to ditch these features. While they might seem extremely minor to some, they do signal a shift for the company. We're going to continue watching its trajectory as it grows. Prices have increased again with this generation but are still quite reasonable. The base model has had the steepest increase and is now priced at Rs. 37,999. We wonder why OnePlus didn't keep a 64GB storage option around. The middle variant doesn't seem to make much sense considering you only get 2GB more RAM for an additional Rs. 4,000, and it won't make a huge difference in day-to-day life. The top-tier variant is still pretty decent value, though. 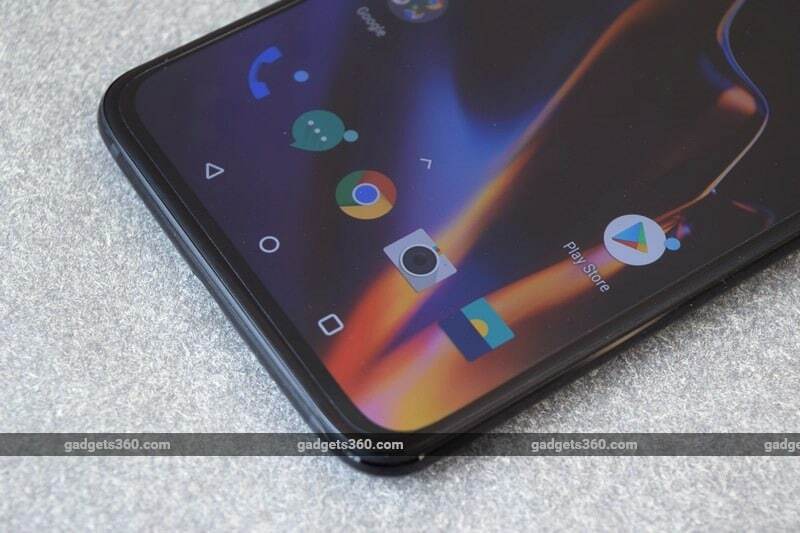 OnePlus has had a good run without much competition at its “flagship killer” price point over the last five years, but now it's facing heat from the Asus ZenFone 5Z, and more importantly, the Poco F1. The excellent Google Pixel 2 XL now priced at Rs. 45,499, and likely available in the market at a price that's even closer to the OnePlus 6T. Compared to the iPhone XS, iPhone XR, Google Pixel 3 series and Samsung Galaxy 9 series, the OnePlus 6T feels like an excellent deal. It just isn't as exciting as we're used to. product The new OnePlus 6T brings some new features to the table but takes others away. Is this the upgrade you've been waiting for?